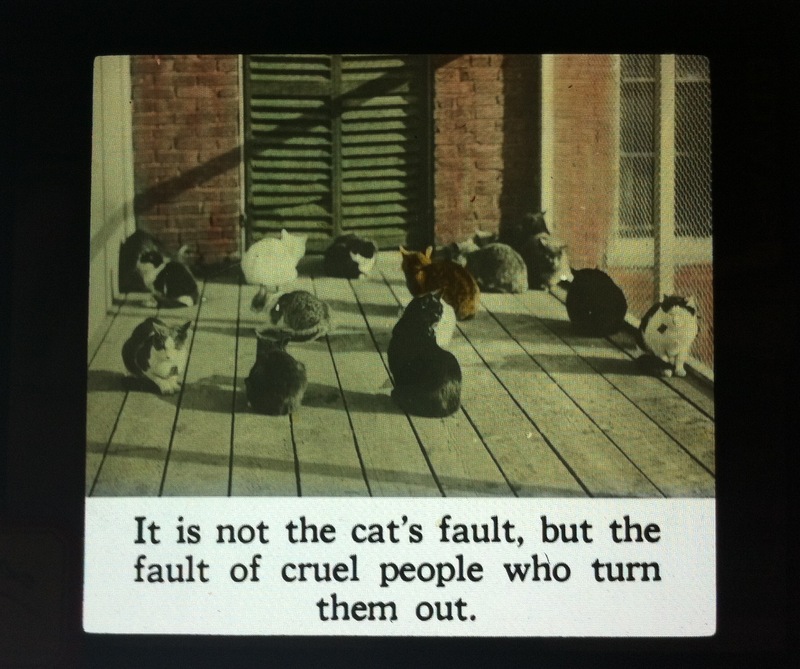 Lantern slides were made of glass and, as such, were very fragile items. 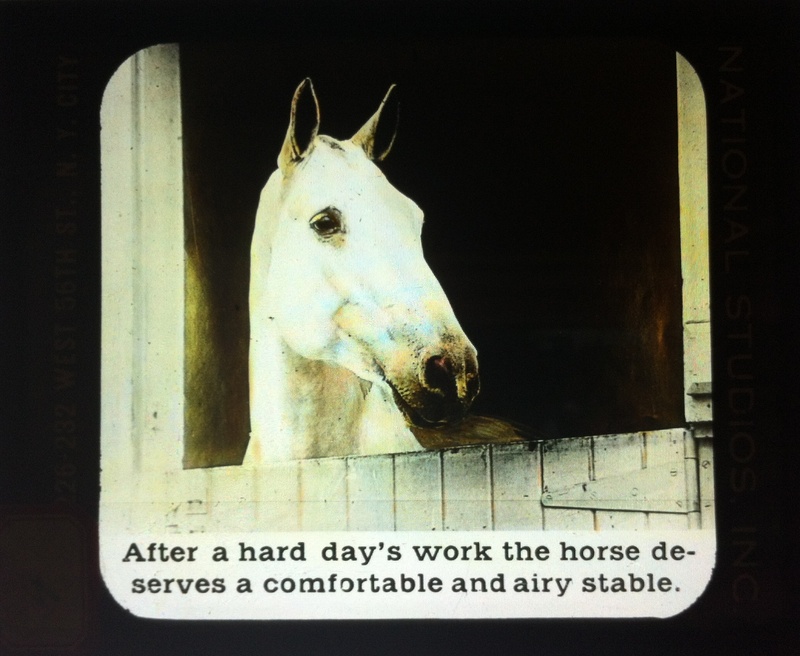 Many lantern slides from the late 19th-and early 20th- centuries have been broken or lost over the years. 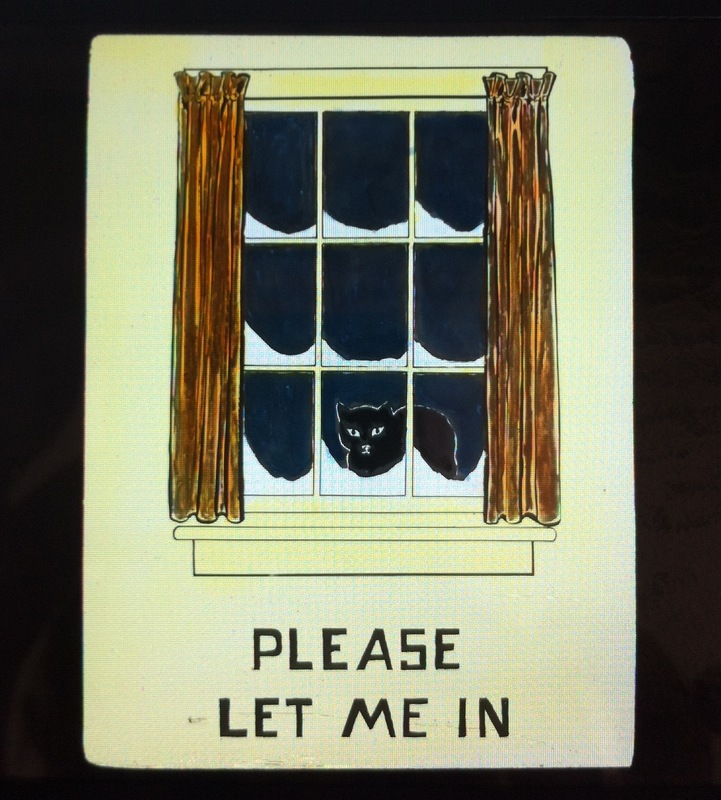 Many of the slides were hand coloured during production as a means to add visual appeal to the image. 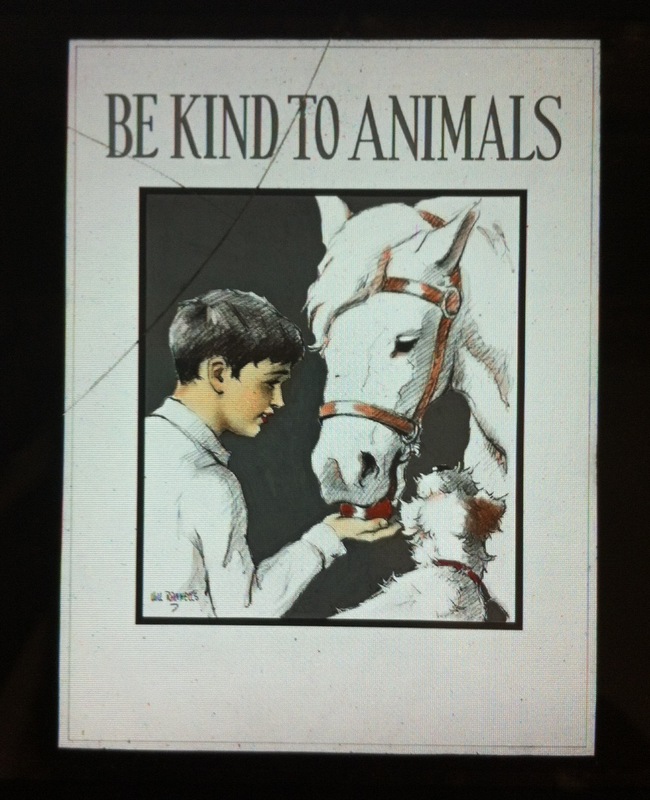 The lantern slides used in Humane Education work during this time period sometimes featured promotions for Be Kind to Animals Week®. These slides were frequently projected in movie houses and theatres prior to the main attraction. 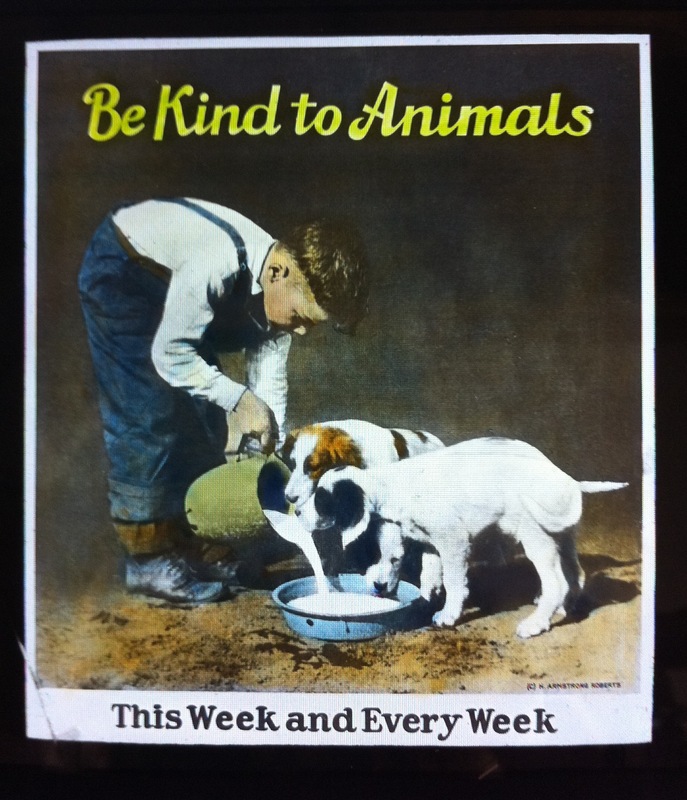 Some of the winning entries from poster contests sponsored by groups like the Massachusetts Society for the Prevention of Cruelty to Animals (MSPCA) or the American Humane Education Society (AHES) would be turned in to lantern slides. 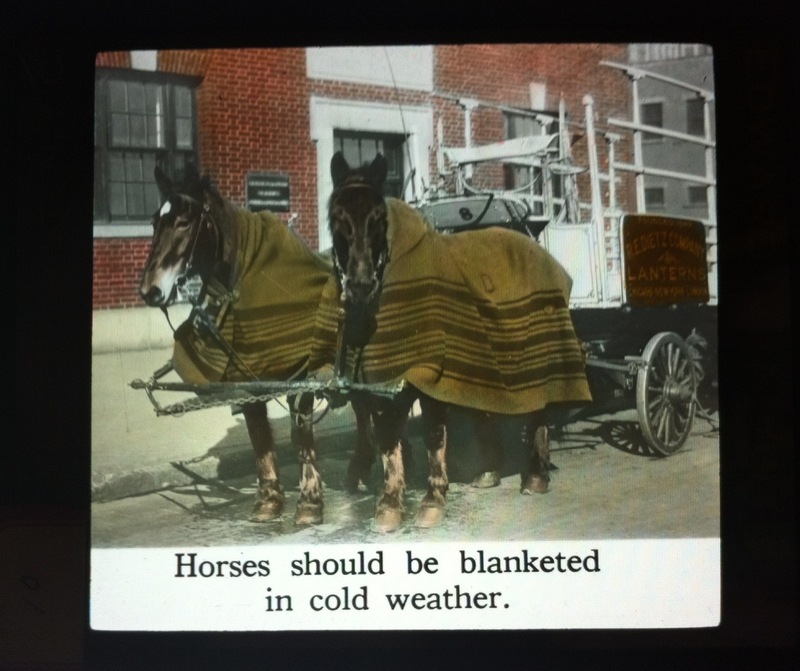 Lantern slide technology allowed animal advocacy groups and proponents of Humane Education to combine image and text in order to draw awareness to the ways in which humans could extend compassion to other animals.